Come celebrate spring, eat good food, and hang out at a peoples’ festival. 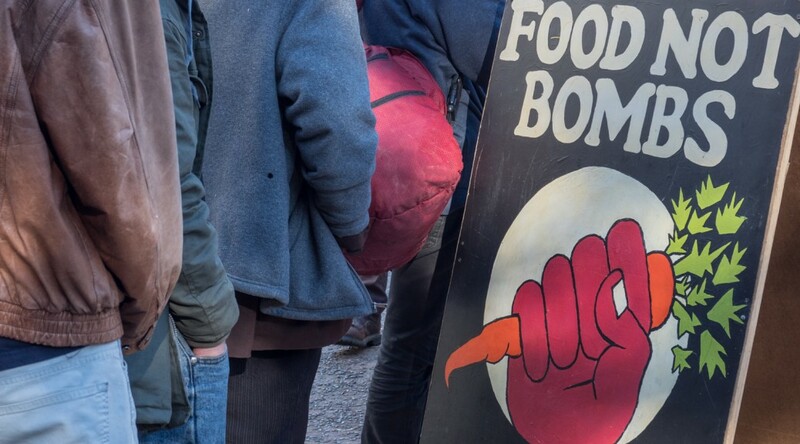 Food Not Bombs believes that public space should be for everyone, and that we should use the commons to help each other, relate to each other, and create the world we want to live in. 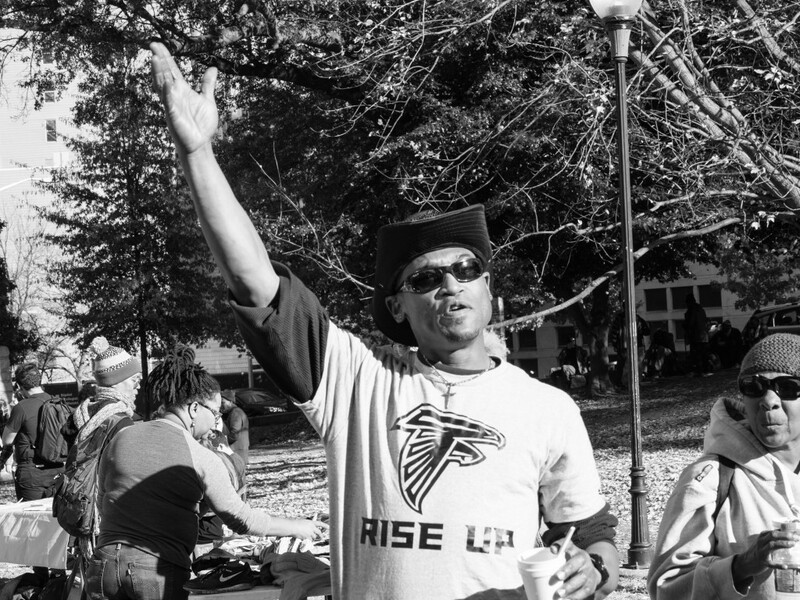 Let’s turn Woodruff Park into a space for creative resistance, diversity, and fun! Net Neutrality is dead. We know that this is bad, but how does it actually affect radical struggle? We know that we should resist it, but beyond calling congress what can we actually do? 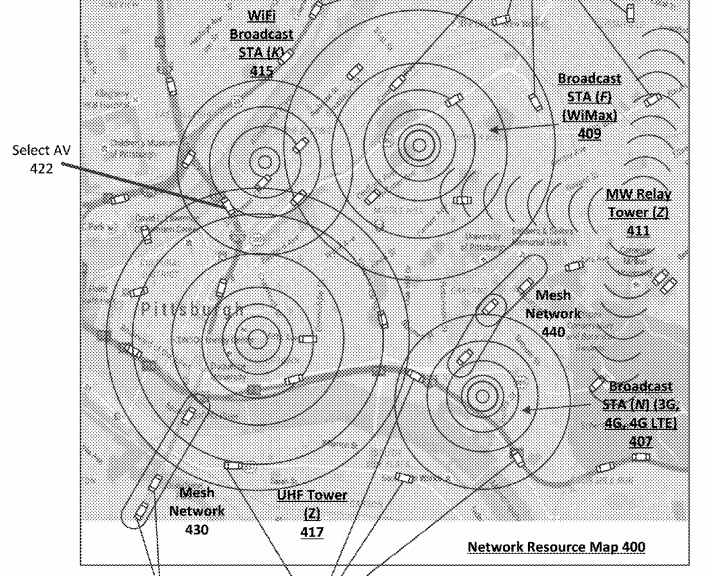 Join us for a discussion on network autonomy. We will present work being done in Atlanta on off-grid wireless communication, mesh networks, and discuss possibilities for what community control over our communications infrastructure could look like. Come with ideas, questions, and curiosity – no background in technology is required. Let’s figure out how we can make truly free networks, and get to work creating them! Cops in Atlanta claim it’s illegal for us to share food with each other. 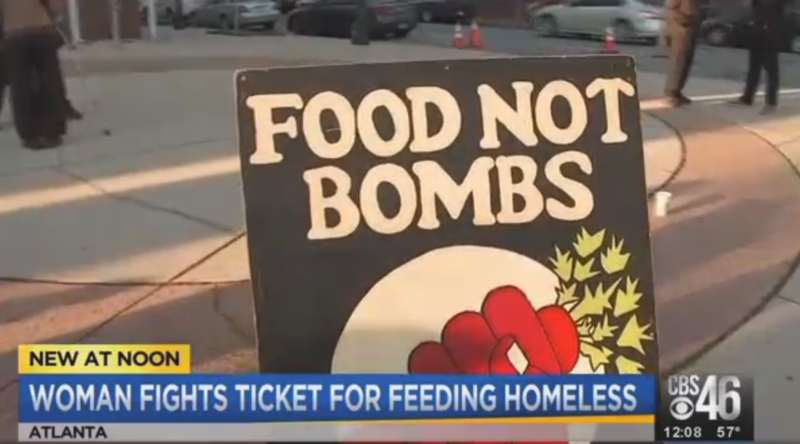 Earlier this month, a volunteer with Food Not Bombs was charged with a crime for giving food to homeless people without a permit. We do not care what the law or the police say, so we vowed to continue disobeying them. On Sunday we followed through. Hundreds of people from many backgrounds flooded Hurt Park in downtown Atlanta. 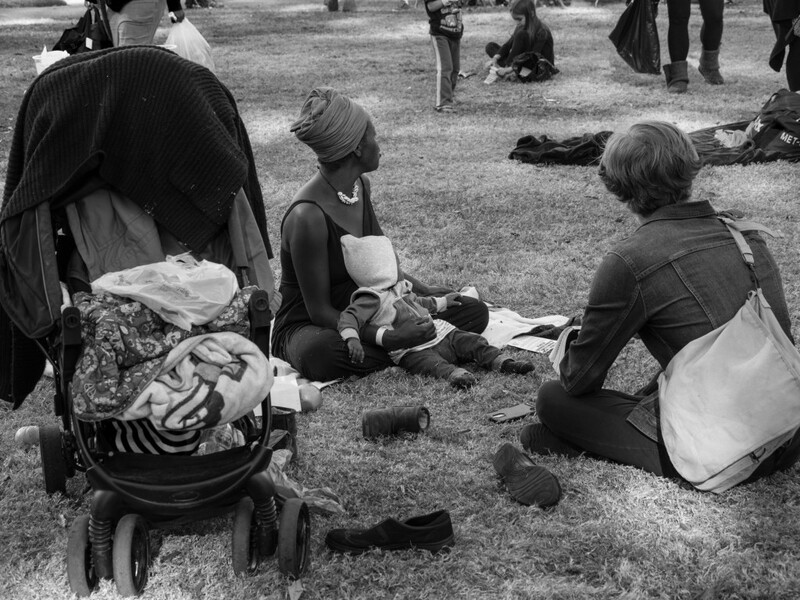 Anarchist youth, church groups, homeless veterans, liberals, travelers, BLM activists, people of all ages and genders showed up to participate in the illicit practice of public sharing. We came prepared to face repression, with copwatch teams on-hand and plans in place for dealing with physical interference by the cops. But bullies are also cowards, so we knew that when faced with huge, vibrant, disobedient crowds, the cops would most likely be too scared to even approach. We were right! The police ceded control of the park, allowing an autonomous festival to occupy the space instead. 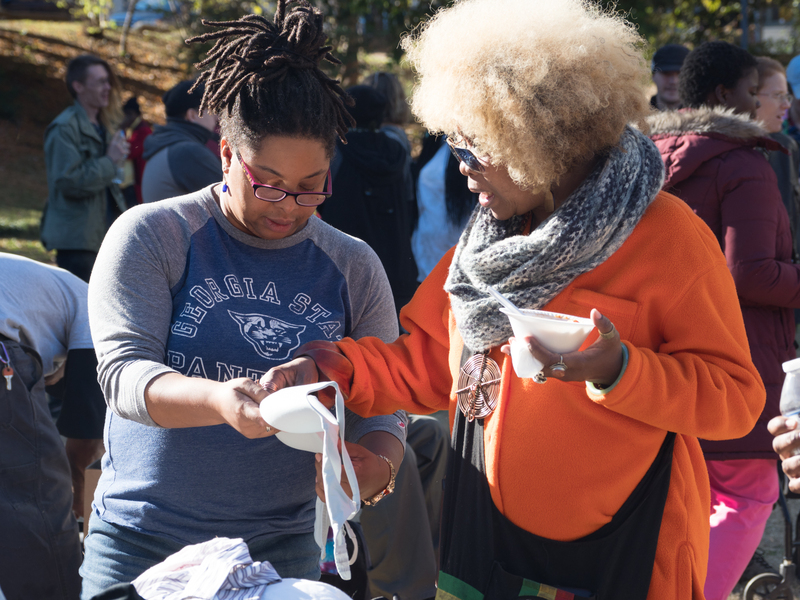 People ate home-cooked chili and talked to a group of police abolitionists giving out literature. Someone performed impressive tricks spinning a black flag. A folk musician belted out old labor songs. 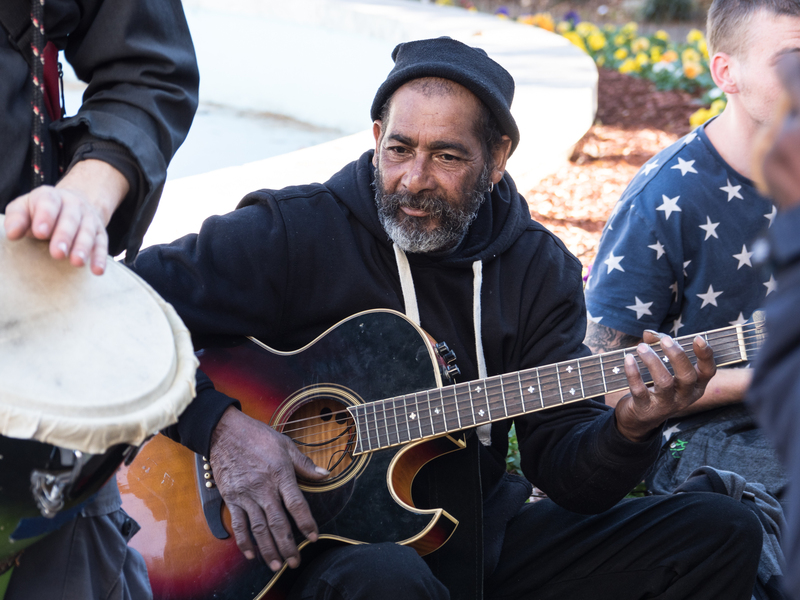 Homeless musicians played drums, sang, and offered passionate spoken word about unity and revolution. As the day went on, food, clothes, and other resources continued to arrive in the park, all brought by people we had never met, but who shared our outrage that the city would try to suppress such a basic human activity. 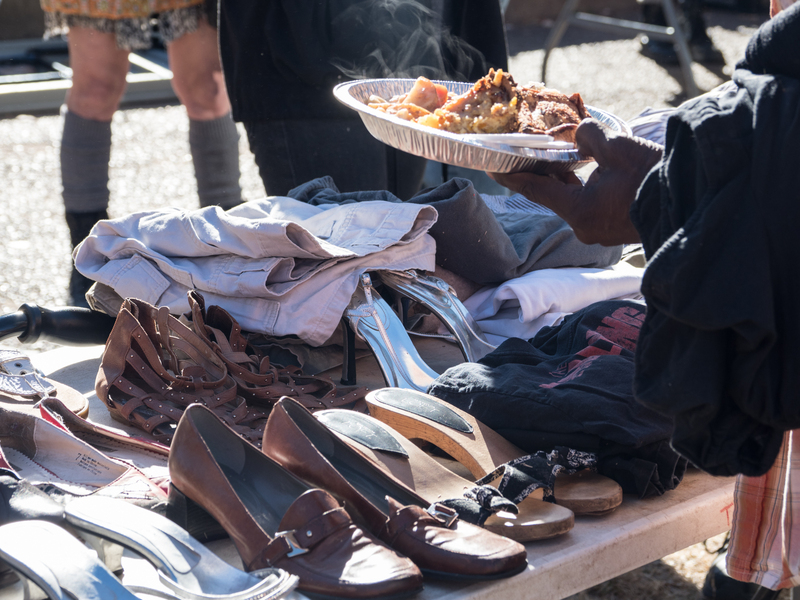 Homeless people helped to distribute and manage the resources. The lines between giver and receiver blurred, and for a time we got to enjoy simply being people in the park together. The cops, developers and politicians dream of a completely sanitized downtown where public space only exists for people to move through on their way to work, school, or to patronize a business. They want downtown to be fun and friendly for tourists and young professionals while simultaneously being hostile and uninhabitable for the rest of us. The homeless, black people, queer youth, and many other marginalized people do not fit into this agenda. The City will try anything to rid itself of these “undesirables”, enlisting the support of police, university officials, the Chamber of Commerce, even the very “non-profit service providers” which claim to serve the homeless. In illegalizing sharing food, the authorities have made one thing clear: Only outlaws can stand against their agenda. In opposing the authorities, we have discovered that our society is full of outlaws just waiting for their moment to do the right thing. We also have seen that without the authorities, we have the power to care for each other and create something better. There’s no reason to think this fight is over. The police are probably waiting for an opportunity to strike again. We have to make sure that when they do, Atlanta is ready to make them regret it! Thanks to John Ramspott for the photos. 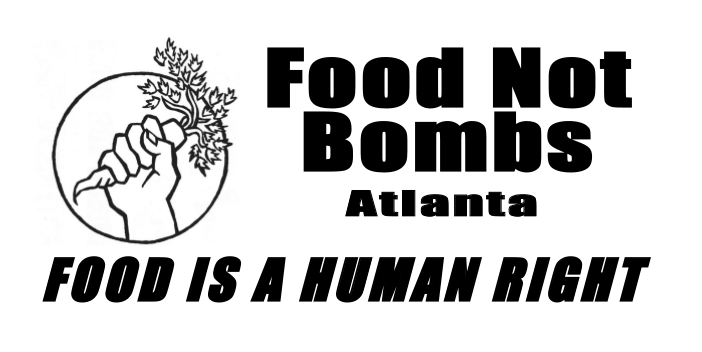 To support Food Not Bombs and other grassroots solidarity efforts in Atlanta, donate here. 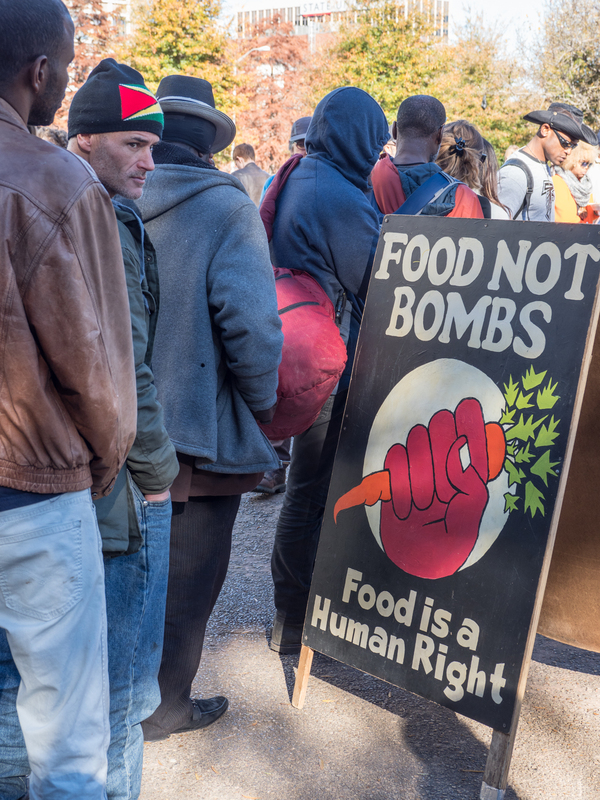 Donate to Atlanta Food Not Bombs and other grassroots groups! 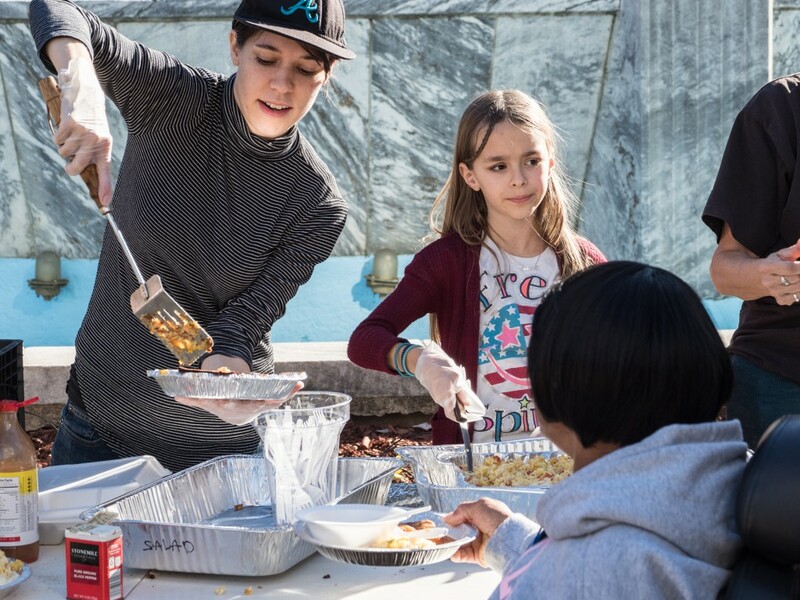 Atlanta Food Not Bombs has been sharing free food with anyone who is hungry for over a decade. We believe that food is a human right, and that no authority should be able to prevent anyone from eating. 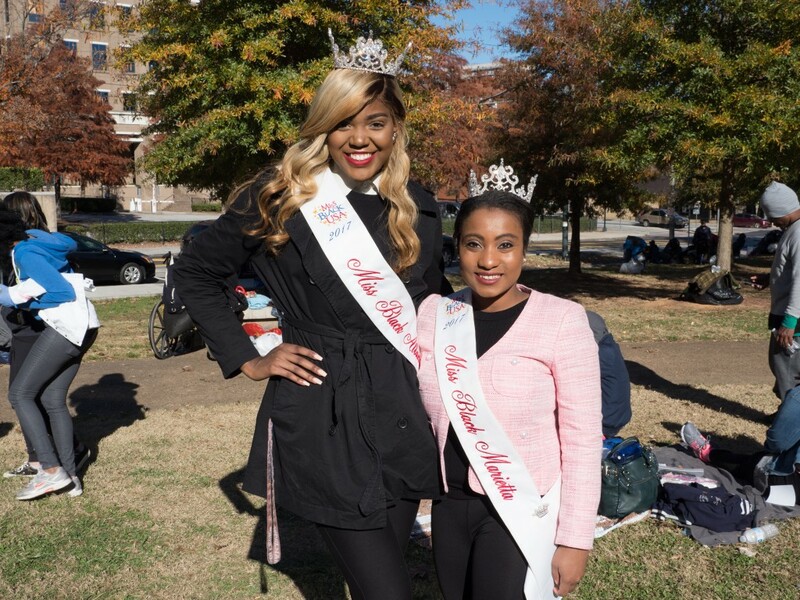 Georgia State University Police has begun a campaign of harassment aimed at anyone who tries to share food with people in Hurt Park downtown. 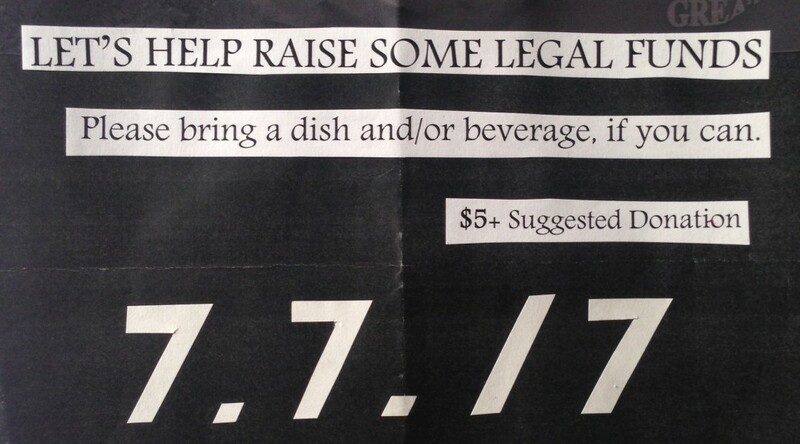 They claim that giving away food is illegal without a food service establishment license from the City. The cops’ legal claims are confusing, contradictory, and ultimately false. What it comes down to is that they don’t want homeless people in the park, they want them to go somewhere else. 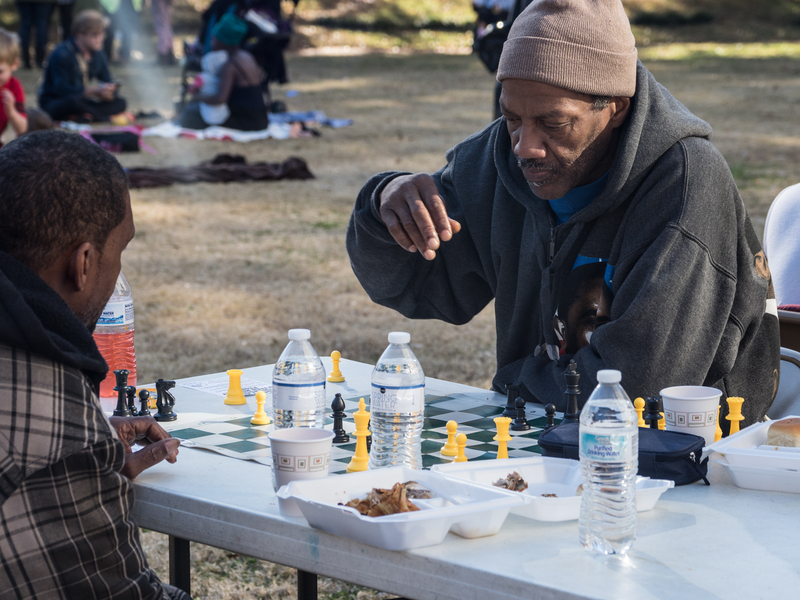 But when they’re forced out of the park, the homeless won’t be going into a shelter, since the City finally won their years-long fight to shut down Atlanta’s largest shelter. And they certainly won’t be going into housing, in a city where gentrification and speculation has created what many are calling an affordable housing crisis. Developers, university administrators, and city planners do not care that there’s nowhere for poor people to go. As far as they are concerned, the homeless are a nuisance to be dealt with the same as rats and pigeons. The cops have already charged one of our volunteers with this supposed crime, but we will not stop. 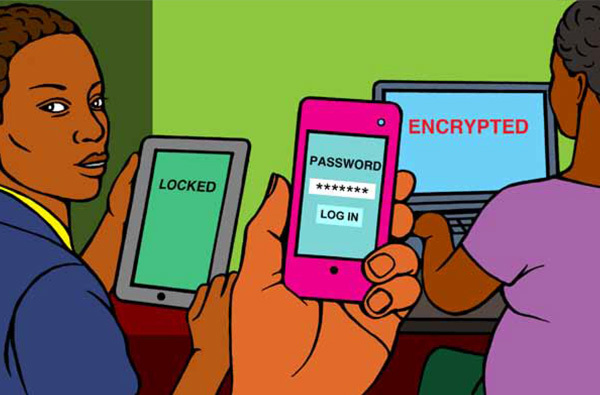 If the government makes sharing illegal, then we have no choice but to be criminals. Not just because our conscience requires it, but because helping each other is the only way we will all survive. We call on everyone who opposes this repression to stand against it directly: Come to Hurt Park next Sunday and occupy it with us. Bring anything you want to share: food, resources, services. Bring music, fun, and festivity. Let’s show that a park full of people caring for each other is better than a park sanitized by police. We also invite anyone who’s interested in supporting Food Not Bombs to come to our planning meeting, Saturday Nov. 25th, 7pm at 80 Mayson Ave NE. This is a casual meetup for anyone who wants to learn about information security. It’s an opportunity to ask questions, get help with problems, and help each other learn. Feel free to come with your own topics to explore, or just follow along with others. Everyone needs to know what their rights are when dealing with the police. This training teaches how to assert your constitutional rights using real-life scenarios to educate in a fun and accessible way. Learn what to say and what not to say when stopped by the police, how to act in jail, and more. On January 20th, 230 people were mass arrested during demonstrations against Donald Trump’s Inauguration. The arrests were made by use of a “kettle” technique of individuals on the corners of L and 12th Street, without orders to disperse. 214 of these arrestees were charged under the Federal Riot Statute. On April 27th, multiple additional felony charges were added. The 211 remaining defendants could now face up to 75 years in prison.